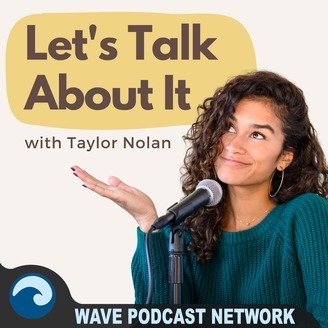 On the Let’s Talk About I‎t podcast, Taylor Nolan gets candid with various celebrity guests and experts. The podcast focuses on mental health, relationships, and personal development. Taylor's unique perspective comes from her studies in psychology and counseling, as well as her time spent on The Bachelor and Bachelor in Paradise reality TV shows. 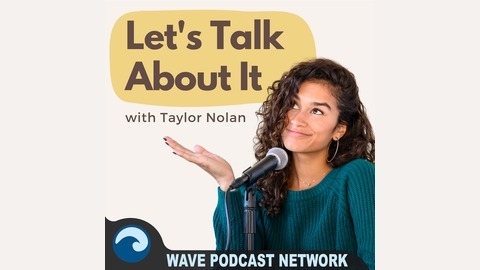 Join Taylor each week, and let's talk about it. Please Subscribe on iTunes and leave a review. We read the reviews, and love to hear from our listeners. The first live podcast event for Let’s Talk About It in Seattle on April 13th! Taylor invited radio & podcast host Carla Marie, social media manager & podcast host Lestraundra Alfred, and artist Laura Burkhart. From all different background the women come together to support one another, share their struggles, and feel ALL their feelings. Special thank you to the vendors that participated: The Cloud Room Seattle, Brothers & Co, BCD Rhythms, Constellation Co, Seattle Pilates Collective, Life Float, Glass Goat Candles, Seattle Seed Co, Dry Soda.